When the NFL regular season started around 40% of NFL rosters were made up of undrafted players. Every year when it comes to who makes the 53 man roster you will see teams that cut draft picks and keep undrafted players. Being around the NFL business for almost 20 years if different aspects from covering it, to doing player personal to representing players, there is one thing that is hard to measure. That is the player’s true motivation. 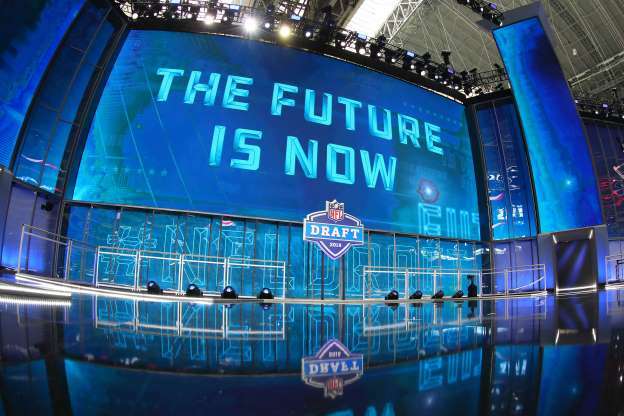 True there can be many factors on why a NFL draft pick doesn’t make it but to me one big factor is that it comes down to do two different types of prospects – Players who goal is to make it to the NFL and players who goal is to play in the NFL. For NFL scouts and coaches this is hardest thing to figure out. Because people can say and do all the right thing but the really questions is what is the true motivation. All NFL prospects have good film and are good athletes or wouldn’t be considered a prospect. Player who goal is to make it to the NFL – Their ending goal in football is that they have reached the highest level and it is a finishing point not a starting point in their football career. Maybe they are doing it because it seems to be the cool thing to do, it will make their parents, family and friends proud. They like the attention that it gets them on social media. But it is where the goal stops. This prospect is less likely to do the extra things to maintain his career or roster spot. Player who goal is to play in the NFL – Getting drafted or signed is start part of the goal and not the end of the goal, true they are excited to see a dream fulfilled but know that now the work beings to reaching their goal of a long NFL career. This prospect is more likely to be willing to do the extra things to maintain his career or roster spot. In terms of the extra things, it means does the prospect/player treat this as a business 365 days a year, does extra film work, taking practice seriously, make sure he is getting into the building early and staying late, taking care of his body with extra treatment, rest, recovery, a good diet and hydration. The NFL is hard week to week business that if a player doesn’t have the correct motivation to make it in the NFL it will be come clear early. Only a player truly knows what type of prospects he is and at the end of the day it is his career but the job of the people drafting and signing players is to try to figure out what they players true motivation is.